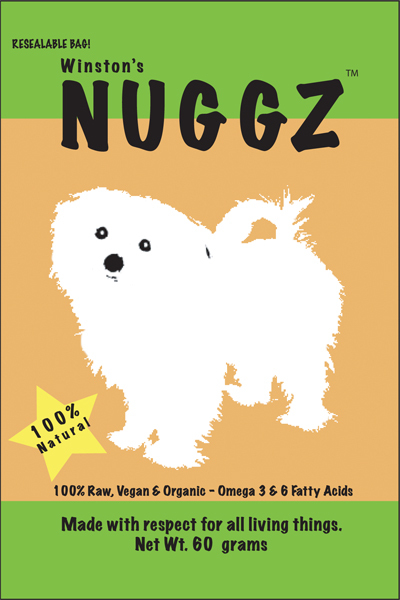 Winston's NUGGZ™ are a delicious and healthy treat for dogs. They are made from 100% organic ingredients with no added fillers, chemicals or preservatives. NUGGZ™ are slowly dehydrated at 105°, preserving the naturally occurring enzymes and nutrients. Based with ground golden flaxseed, Winton's NUGGZ™ offer those healthy omega 3 and omega 6 fatty acids in every bite. NUGGZ™ are 100% vegan, containing no animal products at all. They do not contain any added salt or sugar. Made with respect for all living things! Coming soon to the Tri-State Area! Winston's NUGGZ™ is currently awaiting New York State agricultural certification, as we want to ensure our product is of the finest quality for your dog. 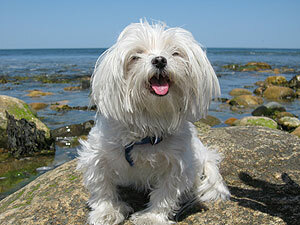 Winston in Montauk Point, NY.